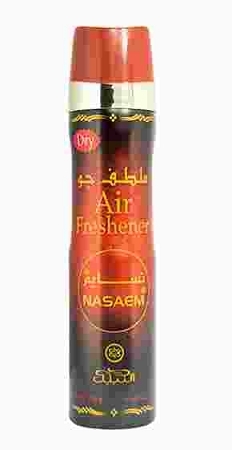 Nabeel Perfume's Nasaem air freshener has a blend of Nabeel Perfumes finest fragrances. Intended for room air freshening use. Developed to effectively overcome unpleasant odors and make the ambiance fragrant. I keep a bottle in my bathroom & spray as needed. The fragrance last a long time. My husband & I love it.